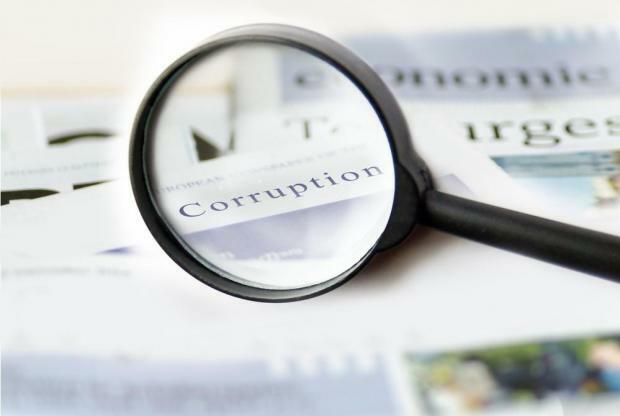 Updated 7.45pm with PN reaction - Malta has plummeted five spots on Transparency International’s annual corruption perception index, placing at a record low of 51st on the annual graft indicator. This year’s ranking, to be released on Tuesday, means the country has gradually slid 26 positions since its first ever inclusion in 25th place. Transparency International’s regional advisor for Western Europe Nacho Espinosa told the Times of Malta that the worsening score came as no shock. “More than one year after the assassination of journalist Daphne Caruana Galizia, who was killed while reporting on corruption, it comes as no surprise that the expert assessments and business executive surveys used to compile the corruption perception index would continue to agree on a worsening situation in the country,” Mr Espinosa said. He said Malta’s score, on which the global rankings were calculated, has decreased by six points over the past three years, from 60/100 in 2015 to 54/100 in 2018. This score puts Malta under the 66/100 average for EU and Western European countries. Denmark, Finland and Sweden were the best performers in Europe, with scores of 88, 85 and 85 respectively. Seven EU countries, namely Italy, Slovakia, Croatia, Romania, Hungary, Greece and Bulgaria, ranked lower than Malta on the corruption perception index. Mr Espinosa said that in recent years, Malta had been embroiled in scandals connected to the Panama and Paradise papers, the collapse of Pilatus Bank as well as controversy surrounding the golden visas scheme, which had all impacted its ranking. He said the Venice Commission’s report in December 2018 found serious issues in the judiciary in Malta, indicating problems with upholding the rule of law. “This is the critical area that the government of Malta needs to address to reverse the negative trend, rule of law at all levels,” Mr Espinosa said. The Council of Europe’s Venice Commission, a body of world-respected constitutional experts, said that the Prime Minister’s office was at the centre of power in Malta, and better checks and balances were needed. Other important bodies, such as the President, Parliament, Cabinet, the Judiciary and the Ombudsman, had too weak an institutional position to provide sufficient checks and balances, the commission warned. Prime Minister Joseph Muscat has vowed to implement the Venice Commission’s key proposals, but the government has yet to offer any firm deadlines for such reforms. Among the commission’s recommendations are the setting up of a prosecutor’s office independent of the Attorney General, a strengthening of the President’s role and more independence for the judiciary. In a reaction, Opposition leader Adrian Delia said that while it was in opposition, the Labour Party had adopted the Transparency International yardstick for corruption in Malta. "By its own yardstick, it has now emerged that the Labour government is the most corrupt government which Malta has ever had," he said. The Muscat government was being seen as more corrupt than the governments of countries which lacked democracy and were led by regimes. The outcome of the Transparency International survey, Dr Delia said, was the result of a whole series of scandals involving corruption and money laundering which had been condemned by many European institutions, the most recent being the European Commission's criticism of the sale of passports. Dr Delia said the government needed to shoulder its political responsibilities and stop further harm to Malta's reputation. Corruption had a price which people ended up paying. Do you know of any corruption taking place?